Stephen Paddock's father, Patrick Benjamin Paddock, was a bank robber wanted by the FBI after escaping from prison. The Mandalay Bay Resort and Casino in Las Vegas after Sunday night’s mass shooting. According to witnesses who testified at Patrick Benjamin Paddock’s trial in 1960, an assistant bank manager took the initiative to follow him after one of the robberies and took note of the unusual radio antennas affixed to his getaway vehicle. 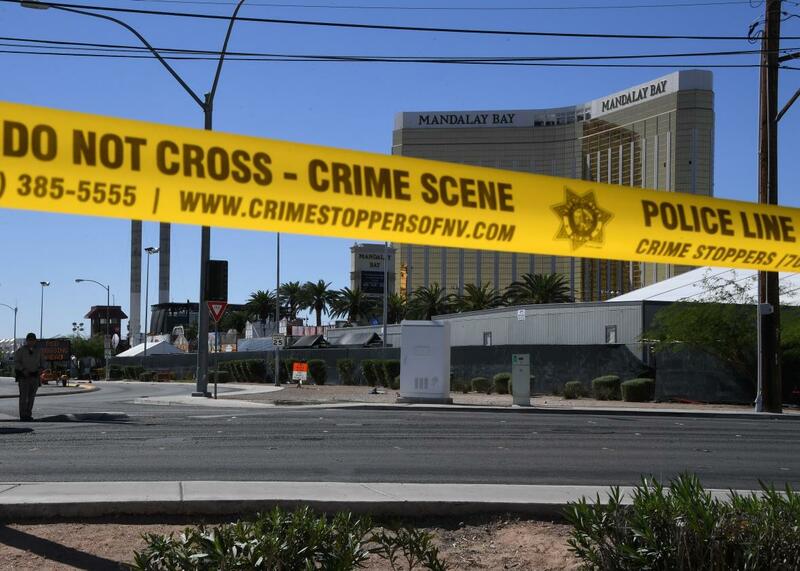 Two days later, six FBI agents located Paddock near a gas station in downtown Las Vegas. When the bank robber tried to run one of them over with his car, the agent fired at his windshield. Paddock was arrested shortly thereafter; a search of his vehicle turned up a loaded .38 snub-nose revolver, a blackjack, and about $3,000 in cash. Paddock, who pleaded not guilty to charges of armed robbery, was convicted by a jury in early 1961. A judge sentenced him to 20 years in prison. After his disappearance, the career criminal wouldn’t surface again until 1978. He reappeared in Springfield, Ore., where he lived for an unknown length of time under the alias “Bruce Ericksen” while running a shady bingo parlor and a side-business turning back car odometers. An obituary that ran in an Oregon newspaper, the Eugene Register-Guard, in 1998, explained that Paddock had partnered on the bingo parlor with an obscure nonprofit to skirt state gambling laws. Describing its subject as “a con man who loved to stick his pudgy thumb in the eye of authority,” the obit reported that in the wake of his apprehension in Oregon, Paddock was paroled by federal authorities after just one year away. He then returned to Oregon to open a new bingo parlor, this time under the guise of a non-denominational church, of which he claimed to be the pastor. In 1987, the state attorney general charged him with civil racketeering in connection with the bingo parlor, but a judge let him off with a $100,000 fine. According to his obit, Paddock most likely spent his final 10 years living in Texas, where, according to the woman he lived with, he helped her run a machine shop and received a VA pension. “I always felt he spent his whole life trying to atone for his past,” the woman told the Register-Guard after Paddock’s death at 77.